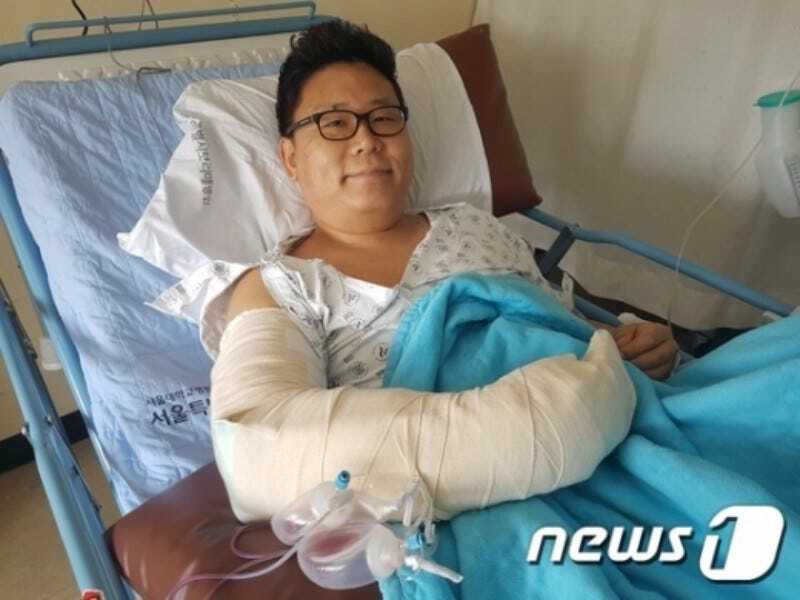 Gyung Bae Kwak, an editor at South Korean gaming site Daily Game, is in the hospital after being slashed with a knife after chasing down an alleged attacker. The incident has made the country’s national news. Kwak was near Nakseongdae Station in Seoul for a meeting last Friday evening when he heard a woman scream. According to MoneyS (via tipser Sang), a man was attacking a woman and had apparently just assaulted another passer-by. Kwak ran after the man, who allegedly pulled a knife and slashed the game site editor. Kwak held the suspect until the police arrived. “If I let him just run away, I thought he could beat up other helpless people so I chased him,” Kwak told MoneyS (via Sang). The artery and six nerves in Kwak’s right arm were severed. Even after seven hours of surgery, he will need two years of physical therapy, and there is no guarantee he will fully recover. Due to bureaucracy, Kwak is on the hook for the hospital bills until the Korean government can reimburse him. Since the alleged attacker is homeless, Kwak is unable to get any money from the suspect. However, when word of what happened made the national news in South Korea, NCSoft’s philanthropic entity NCSoft Cultural Foundation announced it would be footing all of Kwak’s current and future medical bills. Hani also reports that LG is donating the equivalent of US$50,000 to Kwak and presented him with the LG Righteous Person Award for his selfless actions. We wish him the best with his recovery.